As I told you in one of my previous articles, too many visitors on your website can cause it to go offline. This is because of the monthly bandwidth limit that is exceeded. Of course this is something that you don't want. But how can you optimize your website, keeping it online for as long as possible, making it less bandwidth consuming, without upgrading to a better host? Here are some tips on how to do this. I'm pretty happy with my host, offering unlimited bandwidth for a low price. 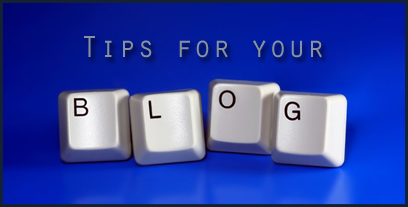 These tips are for those people that do have a bandwidth limit on their weblog or website. Images are very bandwith consuming. Instead of using a background image, use the CSS code. For example, don't use black.jpg as your background, just use color:#000000. If you're using Photoshop, use the Save for Web & Devices (Alt+Shift+Ctrl+S) option to optimize it for minimum bandwidth. When you have an image with lots of colours, you should go for JPEG. Play around with the quality to change the filesize. Else, I would go for PNG (or GIF). Under no surcomstances, use BMP. CSS files can be pretty big, with lots of useless breaks and spaces. Use the CSS Compressor from arantius.com or isnoop.net to trim down the filesize of your CSS. Just like the CSS, your HTML can contain a lot of whitespaces and useless breaks. If you have a PHP website, try the GZIP compression. This will trim-down your filesize big time. How to implement and enable GZIP, check the tutorial on techiecorner.com. This is a little bit agains my article about making comments in your source code, but it can help you a little bit saving bandwidth. Leaving comments out of your source code, the less filesize you transfer and thus you save more bandwidth. When your image isn't displaying anything, but is just used for the layout, leave the ALT attribute empty. Searchbots from searchengines such as Google act just like a returning visitor: They crawl your website, causing it for you to lose bandwidth. Do not add your URL to an searchengine. If you want your website to be found, but don't want to waste your bandwidth on the bot, there are several webmaster tools that will slow down the crawling speed of the bots. If you want to make a big website or blog, don't cut out on the webhost. Just spend a little more money getting a better host. When you have a good running website, you'll earn it back eventually. Big time. Do you have any more bandwidth saving techniques that aren't on this list?